Went for dinner, got a doggy bag. 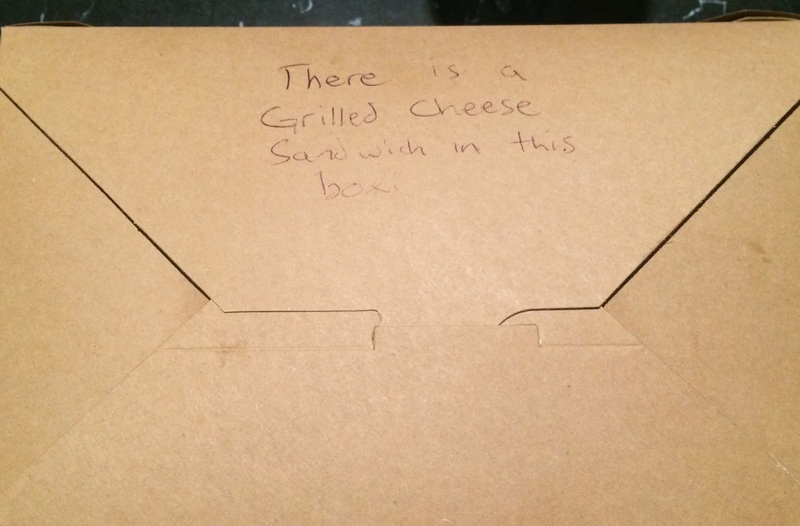 The restaurant always writes fun things on their take out boxes last time it was "Don't even think about sharing". Ice cream runs. Chocolate with fudge sauce, brownies and Reese Peanut Butter cups.